Chocolate Peda - 7 Pcs. Kheer Kadam - 5 Pcs. Khuwa Roll (Silver) - 8 Pcs. 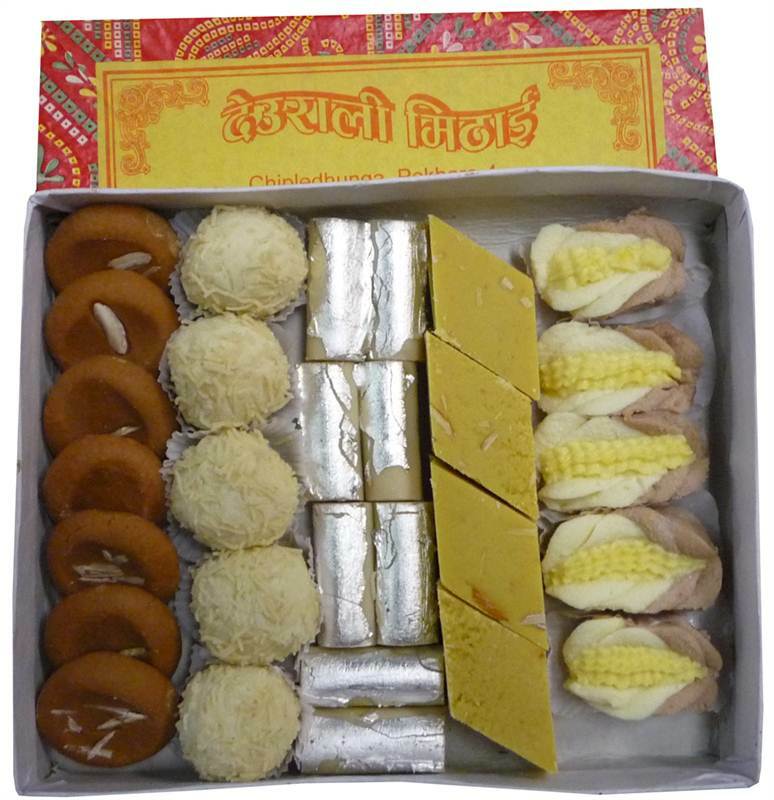 Keshar Barfi - 8 Pcs. Cream Sweets - 5 Pcs.